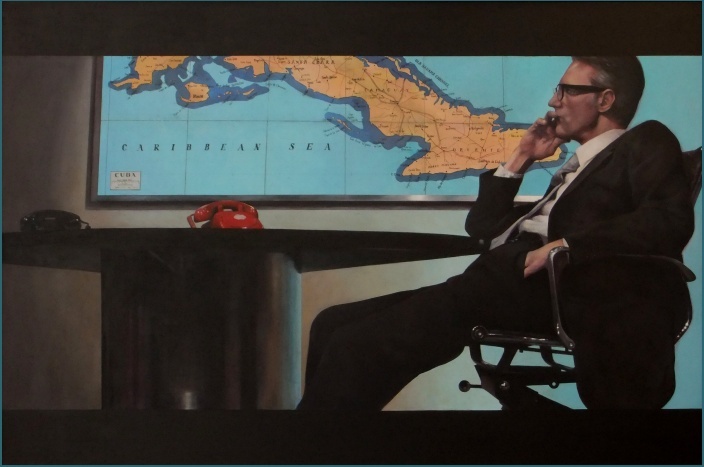 This painting portrays actor Michael Praed in the role of Agent Tom Maddison from the play 'Killing Castro', a comedy about the CIA set around the period of the Bay of Pigs stand-off; I saw a photo of the set in a review in The Guardian (with that lovely red phone), and a few calls to his agent and a trip to Richmond later, voila! One painting. Thanks muchly, Mr Praed - you were a brick.